Hollywood Airbrush Tanning Academy, America’s most popular training center for hands-on spray tanning training, has just announced the graduation of Dennard Hegna from Fairbanks, Alaska. By completing his airbrush tanning certification, Dennard becomes one of the few men in the country to venture into this emerging field of business. I attended the best airbrush training class in the world and am thankful to bring that knowledge and skill here to Alaska. Spray tanning is gradually gathering momentum in America amongst men as a rewarding career path. Dennard Hegna, an experienced construction manager and ironworker from Fairbanks, Alaska has just completed his training from the Hollywood Airbrush Tanning Academy with an aspiration of making it big as a tanning salon and airbrush tanning business owner. This Southern California based training center has gained immense popularity throughout America for their hands on certification program. Many of today’s successful spray tanning business owners have been a student of this academy in the past. In spite of the rapidly increasing popularity of spray tanning in the country, the industry is run mostly by women. Dennard Hegna has recently purchased a tanning salon and found out that there were no airbrush tanners in Fairbanks, Alaska. As a result, he decided to learn airbrush tanning from the Hollywood Airbrush Tanning Academy. Simone Emmons, the founder and chief instructor of the academy found Dennard extremely talented and feels that he has a bright future in the industry. “He did such a great job in learning my spray tanning technique quickly. I think what helped him is because he already knew how to use a spray gun from the construction field he was in. He was extremely talented and also very thorough when tanning the models,” she says. Dennard's tanning business "Tans N Tea" will offer Hollywood style airbrush tanning services covering areas such as Fairbanks, Anchorage, Wasilla, Palmer, North Pole, Delta Junction, Valdez and other adjoining areas in Alaska. His tanning salon is located at 3594 Airport Way, Fairbanks, Alaska 99709 and can be contacted by calling 907-687-8711 or by visiting the website at http://www.tansntea.com. Hollywood Airbrush Tanning Academy is located in Los Angeles, California and offers an extensive Airbrush Tanning Certification program to anyone who wishes to learn the art and business of spray tanning. 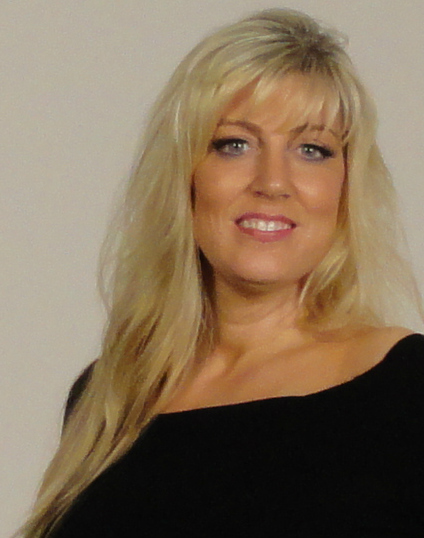 Simone Emmons, the creator of the spray tanning training program has been a professional, licensed spray tanning technician and teacher and has helped numerous entrepreneurs from Utah, Colorado, Nevada, Minnesota, Arizona, South Carolina, North Carolina, Alaska, Washington, Oregon, Florida, Oklahoma, California, Canada and the Island of Hawaii and Trinidad start a business in Airbrush Tanning. The spray tanning program is unique because it provides hands-on and private spray tanning training to individuals who want to start an Airbrush Tanning Business. According to Emmons, this spray tanning program gives individuals a leading edge in starting an Airbrush Tanning business immediately after finishing with the training. Students have the option to choose from a full day course of 10-12 hours or two half day courses of 5-6 hours a day or through live video conferencing. The academy is also launching a website soon so students can learn Airbrush Tanning Online. Many tanning training institutions only educate students on their own equipment and products they sell, however Hollywood Airbrush Tanning Academy does not sell any of their own products and provides training and education on all equipment and good products in the airbrush tanning industry. 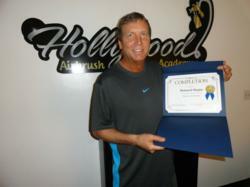 Recently, the academy added an additional trainer to hold airbrush tanning classes on the East Coast. Weekly classes are now also available in Charlotte, North Carolina and Union and Lewisburg, West Virginia. Additional training is also scheduled in Chicago, Illinois in June 2013. Individuals interested in learning and starting a career in airbrush tanning should visit the website at HollywoodAirbrushTanningAcademy.com or for more detailed information about the spray tanning classes visit 1DaySprayTanTraining.com.